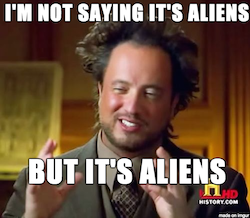 Note: you may be interested in this update on Tabby’s Star and the Alien Megastructure, and this new scientific theory that says aliens may be mining their star for raw materials. The story of that alien megastructure that may exist around a distant star, blocking its light for odd periods of time—well, things just got weirder. Star—Is This What Surrounds Tabby’s Star? Scientists have been puzzling over what could be causing that distant star to dim 20% or more at a time, something that stars just don’t do. Stars dim their light sometimes, sure, but only a little. Not 20% or even more. The Story So Far: Comets or an Alien Race? 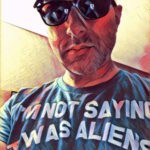 There have been two proposals so far: either it’s maybe a swarm of comets (something that has been dismissed as highly unlikely), or … maybe it’s aliens. Specifically, maybe aliens built a gigantic megastructure around the star, and that’s what’s responsible for the dimming of star KIC 8462852 (also known as “Tabby’s Star” after astronomer Tabetha Boyajian who noticed the phenomenon). 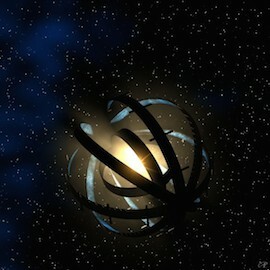 Some scientists went as far as to speculate that the star may be encompassed by a Dyson Sphere, a hypothetical energy-gathering structure first proposed by physicist Freeman Dyson. A Dyson Sphere that was constructed by an alien race.